In our cafe, we are now serving wine and beer. Any food plus a glass of wine or beer £6.50! Any food plus our delicious home cooked soup £5.50! 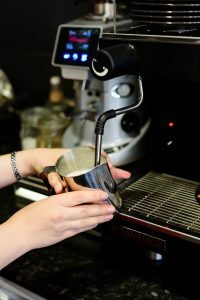 Our tastefully decorated cafe offers food and beverage, wifi access, desk space and carefully curated networking events that can help you connect with other talented and passionate creative people, thinkers and entrepreneurs.